How to Effectively Clean Bed Pillows? We clean our homes often; we wash our clothes regularly. We also take a bath every day. These, after all, are basic activities associated with good hygiene necessary for good health. But aren’t we neglecting something that is just as important? The unfortunate thing is cleaning pillows is mostly just an afterthought for a lot of people. Many of us would think that changing the beddings and pillowcases is already enough. Some would even go the extra mile and clean their mattress somewhat regularly. However, it is just as important to keep your pillows clean. This is essential, not just for a good night’s sleep, but for your overall health as well. Contrary to what you may think, it is actually quite easy to clean pillows. So, you need not be afraid of doing so. Cleaning your pillows do not actually require a lot of time or effort. 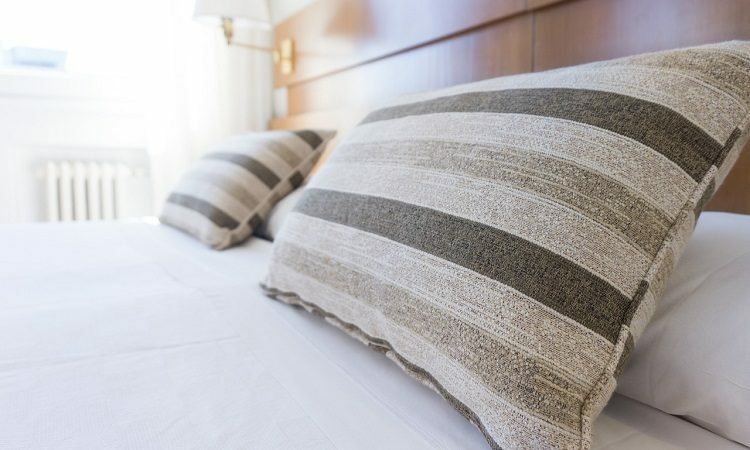 If you make pillow cleaning a habit, you’ll thank yourself later on. Before putting your pillows in the washing machine, you can put them out in the sun. The heat from the sun acts as a natural deodorizer and kills many unwanted microorganisms. This step is free and almost effortless, so you might as well go the extra step. It is also important to remember that pillows with different fillings require different cleaning methods. For instance, down and feather pillows need to go through a washer and dryer cycle. These pillows need to be washed delicately and dried completely. If you can, these more delicate pillows can also be hand washed to maintain their quality. As a general rule of thumb, here are the most common steps used when washing pillows. Once you get the hang of it, you’ll find that it is actually very easy. Pillow-cleaning is no rocket science. It’s just a matter of having the will to do it. Remove your pillowcase: Take covers off of your pillows. This will ensure that your pillow gets a deep of a clean as possible. Put your pillows in the washing machine and add detergent: Contrary to popular belief, it is absolutely safe to put pillows in your washing machine. As for detergents, it is advisable to use a single cap of a mild variant. To make your pillows whiter, you can add some other materials. Put a cup of powdered dishwasher detergent, some bleach, and a half cup of borax. Start your wash cycle: Using hot water is recommended to wash pillows. This Is better for the removal of things like allergens and dust mites. A second wash cycle is also recommended. If it is available, use the bulky or large cycle on your washing machine. Put your pillows in the dryer: You can put pillows in the dryer instead of air drying them out in the sun. Pillows filled with feather should be dried on the “no heat” setting, if possible. Pillows made of other materials – especially, synthetic – should be placed on a low heat setting. Check for dampness: Once your dryer cycle is done, check your pillows for dampness. Using wet pillows may lead to unwanted odors. If your pillow is damp, put it back in the dryer or leave it to dry. Add your favorite scent: This step is an optional one. 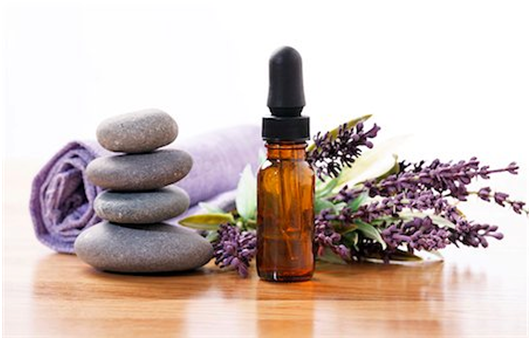 For instance, people find that they sleep better if what they sleep on smells like lavender. You can use sprays or dryer sheets to accomplish this effect. Too many cycles of cleaning could damage the materials your pillows are made of. Experts recommend that pillows be washed only once or twice a year. Now, the question is: How will we keep pillows fresh and clean in between these washings? Surprisingly enough, it is recommended that you use a bit of vodka to do this. You could dilute it in water, but this may affect its strength, so be careful. Vodka is a quick-drying sanitizer, meaning you can use your pillow quicker than when washing it. This reduces the chances of mildew developing on your pillows. Some types of pillows should not be washed as regularly as ones you use to sleep. For instance, decorative pillows should not be washed as often, as this may affect their appearance. Regular, intensive cleanings may also damage the materials that these pillows are made of. Pillows like this should only be spot cleaned. This means that only parts of them should be cleaned if they show stains or have a bad smell. Spot cleaning involves rubbing cleaners into the pillow using a dry cloth. Afterward, this should be wiped or vacuumed off, and the stain should disappear. If the stains on decorative pillows remain after spot cleaning, experts suggest leaving them be. Or simply, just flip over your pillow. Removing a small stain is not worth the risk of permanently damaging your pillow. Your pillows should not be the only thing you consider cleaning, though. It is equally as important to clean your pillowcases on a regular basis. Since this is the surface that makes contact with skin, it is recommended to clean them weekly. During the summer, when it is hot, it is recommended to wash them twice a week. If you pillowcases are made of cotton, wash them in hot water. The same thing applies to flannel, modal, bamboo, and other forms of synthetic material. However, it is different for more delicate materials such as silk, linen, or sateen-weave cotton. These should be washed with cold water on the lowest setting on your washing machine. Some people would rather buy new pillows rather than make the effort of washing their old ones. While this is definitely easier and more convenient, it is important to remember that most high-quality pillows are not inexpensive. Just like mattresses, pillows are investments, too. So why waste money when yours just needs a washing? Hopefully, this has shown you how easy it is to clean your pillows. Making use of these steps on a regular basis will help improve your quality of sleep. As a result, you will wake up every morning feeling a lot better. Follow these tips and tricks, and your pillows will be clean for as long as possible. Happy Pillows!